If you have given your beloved daughter’s hand to marriage, then there is no doubt that you are excitedly awaiting the wedding day. As the bride’s father, your blessing is the greatest gift you can bestow to your daughter and to your future son-in-law. Of course, your support and assistance in the preparations is much appreciated. On the actual day of the wedding, you will have the privilege to take on two most essential roles: accompany your daughter as she walks down the aisle to meet the groom and deliver the father of the bride speech. Wedding speeches are traditionally heard during the reception as the couple shares the banquet with their family, relatives, friends and guests. It is often the father of the bride who leads the line of speakers although the mother of the bride may be given the honor to speak first. After the bride’s parents, the father and mother of the groom will also give out their speeches, followed by the maid-of honor, the best man, the bridesmaids, and the groomsmen. When all the members of the entourage are done with their speeches, relatives and guests will have the chance to speak on the microphone to congratulate the newlyweds. Anyone who wants to give a message may raise his or her hand to volunteer. Indeed, listening to different speakers as they utter their best wishes to the couple while enjoying hearty food and wine is one of the most anticipated moments in a wedding. Are you ready to give your best father of the bride speech? Preparing for your speech ahead of time is a must, especially if it will be your first time to do public speaking. It is no secret that some people are not very comfortable speaking in front of an audience. If you’re feeling a bit nervous because of your lack of experience, you can set aside your worries. It should be reassuring for you to know that even the most seasoned speaker may feel a tinge of nervousness too when standing in front of big crowd. The key to gaining confidence however, is being prepared. As soon as you are finished writing your speech, you can practice reading it out aloud, until you are able to say the lines by heart and with confidence. Yes, you can build up your confidence in public speaking through practice. You do not need to be a gifted speaker to do this task successfully. You just need to remember that you will be doing it for your dear daughter. Imagine how happy she must feel to hear her father express how proud he is of her and how much he loves her, in front of everyone who are present in that most important occasion. When reciting your speech, be conscious of time. There is no need to extend your speech to more than five minutes, even if you feel that there’s more that you want to say. Don’t forget that other speakers are waiting for their turn so keep your message short and sweet. Stay sober even if your speech is through. Wine and spirits are usually served at weddings but everyone should exercise moderation. If you have a drinking problem, it might be best for you to completely avoid drinking on the day of the wedding. Keep humor in check. Yes, jokes and hilarious stories can liven up the audience and make a speech more memorable. However, be careful that you do not step on anyone’s toes or upset anybody in your attempt to be funny. Do not mention ex-es. It is best to completely exclude stories or reference about your daughter’s ex-es from your speech to avoid upsetting the groom or the bride. Be sensitive. No matter how good your intentions are, even a slight allusion the bride’s ex-boyfriend may bring up unpleasant feelings for both of them. Besides, it is a celebration of the newlywed’s love for each other so there’s no point talking about past relationships. The bride and the groom should be the focus of all the speeches. Don’t try to steal the spotlight. While you want to deliver the best speech for your daughter, see to it that you do not steal the spotlight from the celebrants. Do not overdo your speech just to make yourself look good in front of the guests. Don’t be afraid to wear your heart out of your sleeve. After all, you are the bride’s father so everyone will understand if you get teary eyed or even cry during the ceremony or while delivering your speech. It is perfectly okay for a father to be emotional once in a while. Formally close your speech with a toast. When you are finish with your speech, don’t forget to raise your glass and propose a toast to the couple. Before attempting to write your speech, you may want to gather ideas first. The internet is a very helpful resource that you can use to search for tips and inspiration. In fact, there are online resources that offer articles that tackle this particular type of wedding speech. You can even read father of the bride speech examples that will surely inspire you. Be sure to check out a reliable and professional website before you do your research. 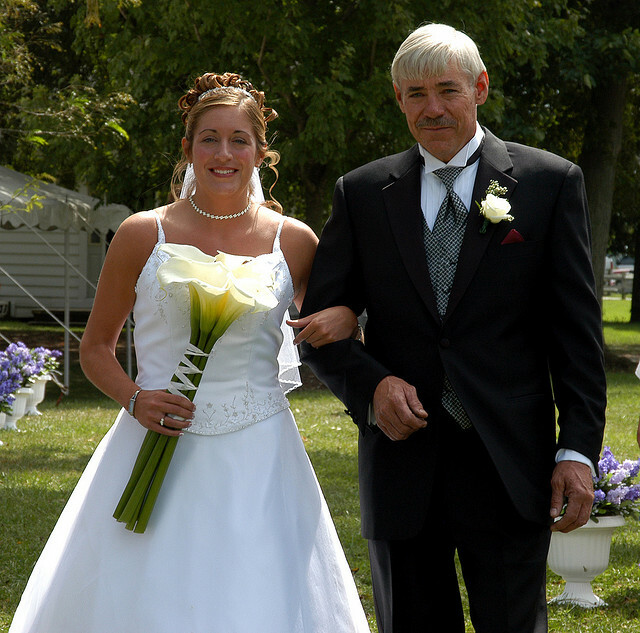 You may consider using a father of the bride speech template to make writing easier. Yes, it is possible to create a meaningful and original speech out of a sample speech simply by changing a few words or lines. If you will speak from the heart and imagine yourself talking to your daughter, composing a memorable speech should not be difficult at all. 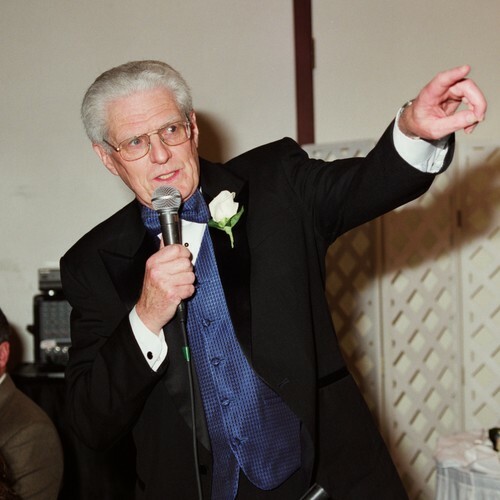 Here are some ideas that you may include in your father of the bride speech.You may begin or end your speech with an inspirational quotation or a song about love. Your message may revolve around the essence of the quote or the song you’ve chosen. Welcome the guests and personally thank them for coming to your daughter’s wedding. Acknowledge the groom’s family. Thank them for their support and let them know that you are welcoming their son with open arms to your own family. Compliment the bride and focus on her good qualities. The bride is the main star of this occasion. She certainly deserves all the compliments. This is your chance to express in words why you are a proud and a beaming father. Include your personal message for your new son-in-law. It is but natural for you to talk about the bride because she is your daughter but see to it that you do not end your speech without turning your attention to the groom. Deliver a Remarkable Speech – Practice Makes Perfect! Initially, you can read your speech aloud until you become comfortable saying the lines. Don’t memorize! After a few readings, you should be able to say the lines from memory but this doesn’t mean you should memorize the exact words you’ve written. There is no need to memorize. What you want to do is to feel each line as you recite them so you can speak from the heart. Recite in front of a mirror. Doing this is a great way to see yourself as you deliver your speech. Facial expression and gestures are indispensible elements that should not be overlooked. Listen to yourself. You can use an audio recorder so you can hear yourself and work on improvements where needed. Speak in front of a real person or people. You can ask your wife or children to watch and listen as you practice your speech whenever possible. This is a good way to boost your confidence in yourself, to practice eye contact and to feel relaxed while speaking. Remember, a remarkable speech will ultimately depend on how well the speaker delivers it! It’s not really about not making a mistake or pronouncing all the words fluently or remembering all the lines. If you sincerely believe in the lines you are saying, if you are expressing those words from the bottom of your heart, your emotions will transcend to your audience. Your listeners will feel what you are feeling and you will be able to touch hearts, especially that of your daughter’s. 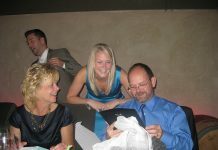 To read excellent examples of father of the bride speech, check out http://www.bestfatherofthebridespeeches.com. 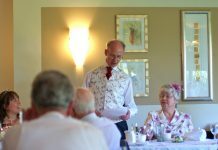 The website offers tried and tested sample speeches especially written for the father of the bride. Writing a father of the bride speech was very challenging but a privilege to me. It made me feel so weak as emotions kept running through my skin. I heard so many things about father of the bride speeches and I always thought it’s easy until I had to make my own. The pieces of advice here were very helpful. I put some funny jokes but as I reviewed and read it I noticed that there were more jokes than memorable messages. I had to limit the jokes and make it more sentimental. It was worth changing it because the newlyweds loved my speech. Wow I still couldn’t believe that I pulled off my speech a week ago! It was surreal because I never thought my daughter and the groom would love the speech I made for their sake. Even the guests enjoyed listening to it. They came up to me and told me how incredibly good the speech was. A lot of them told me it’s the best thing they’ve ever heard if not for the first time, after been so long since they’ve witnessed a great wedding speech. I definitely want to give credit to this website as the contents here gave me help and assistance. Thanks! I had a great and productive time reading all the series of tips here but I enjoyed the testimonies of people here. They just gave me the motivation to follow the same thing in writing a father of the bride speech since my daughter is getting married within several days. The stories shared here by fathers seem too good to be true but I’m going to give the benefit of a doubt. Who knows I might be commenting here again sharing my own story and how successful my speech is. I hope that would be the case too.